Bingham, Russell and Laura Mathews. "Royal Ontario Museum". The Canadian Encyclopedia, 22 March 2018, Historica Canada. https://www.thecanadianencyclopedia.ca/en/article/royal-ontario-museum. Accessed 22 April 2019. The Royal Ontario Museum owes its existence in large part to the vision of two remarkable men. The first, Charles Trick Currelly (1876-1957), was born at Exeter Ontario and originally trained as a Methodist minister at the University of Toronto. 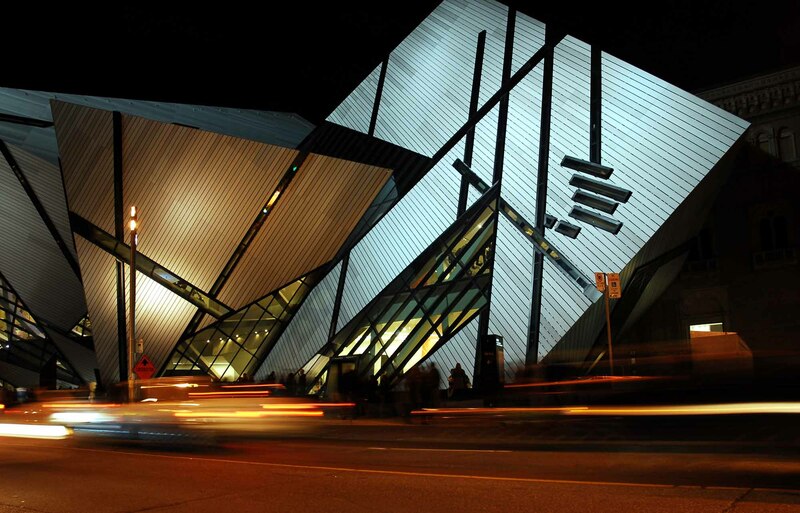 This shows the modern addition to the Royal Ontario Museum, illuminated at night. Designed by noted architect Daniel Libeskind. 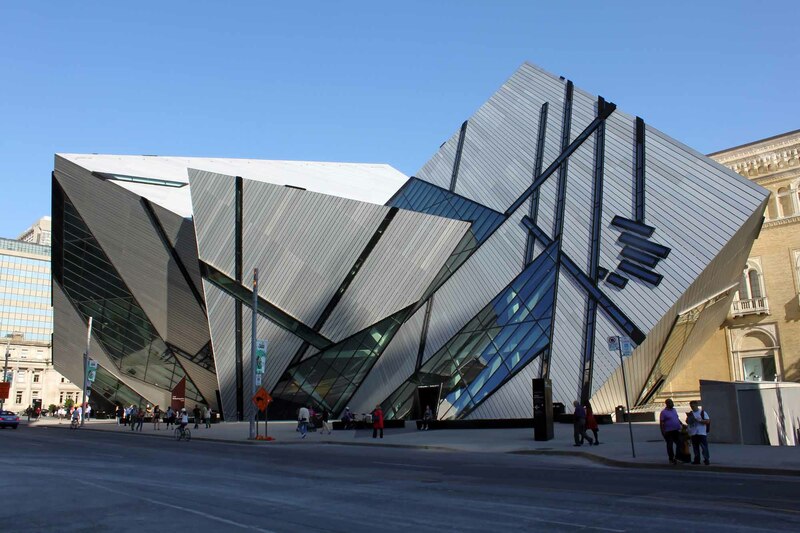 The Royal Ontario Museum (ROM) is Canada's pre-eminent museum. It is the largest museum in Canada to explore both the natural world and humankind's cultural past. It houses world- renowned collections, is home to leading scholars, and, through innovative programs and galleries, engages over a million visitors each year. 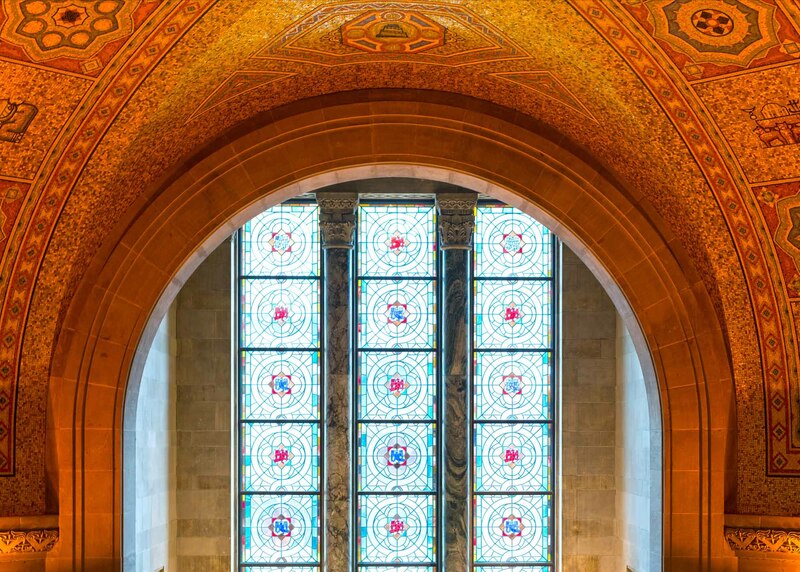 Located in Toronto, the ROM was created in 1912 by a special Act of Legislature of the Province of Ontario and opened to the public on 19 March, 1914. The Royal Ontario Museum owes its existence in large part to the vision of two remarkable men. The first, Charles Trick Currelly (1876-1957), was born at Exeter Ontario and originally trained as a Methodist minister at the University of Toronto. Early on, however, he discovered that his main interests lay in the study of ancient cultures and in archaeological research. During his studies in London, England Currelly met the renowned British Egyptologist, Flinders Petrie, and was fortunate enough to accompany Petrie on archeological explorations in Egypt. Currelley's experiences in Egypt with Petrie and later in Crete and Asia Minor instilled in him an ambition to establish an archaeological museum in Ontario, but it was not until he made the acquaintance of another important and influential Torontonian that his dream became a reality. During his archaeological career in the Mediterranean, Currelly had revealed a remarkable ability to sleuth out important articles of ancient origin, and this skill had marked him as a valuable adviser to collectors in Britain and also in Canada. One of his clients was Sir Edmund Walker (1848), the father of a former classmate and a prominent Torontonian who shared Currelly`s desire to establish a world-class museum in Ontario. A businessman and banker (by 1907 he had become general manager of the Canadian Bank of Commerce), Walker was also a philanthropist who had contributed to many important Canadian institutions, including the National Gallery of Canada, the Art Gallery of Ontario, and the University of Toronto. Walker's early preoccupations had focused on the natural world. He began by collecting fossils, which he later donated to the ROM together with his palaeontological library. He also arranged funding for dinosaur digs in the badlands of Alberta. One of the new species found there was named after him - Parasaurolophus walkeri. The scope of his interests grew to encompass world cultures as well, and his his acquisitions began to include important ancient artifacts including a major collection of Japanese ukiyo-e was eventually gifted to the Museum upon his death. Impressed by the cultural institutions of New York City, its galleries and museums which he had visited while working for the bank in that city, Walker concluded that Toronto would benefit from the addition of a public institution of similar calibre and prestige. He and Walker combined their interests and efforts and with help from the University of Toronto, attained their goal. 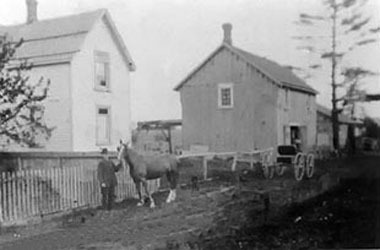 When the Royal Ontario Museum of Archaeology was created in 1912, Currelly was named as its first director. Walker became its first chairman, a position that he retained until his death in 1924. Reflecting the interests of its two founders, the ROM collection and focus combined an emphasis on nature and culture, a dual focus that places it in a unique position in the world museum community. The Royal Ontario Museum originally opened as 5 separate museums devoted to archaeology, geology, mineralogy, palaeontology and zoology, which amalgamated in 1955. It fell largely under the administration of the University of Toronto until 1968, when a subsequent Act of Legislature established it as a separate corporation without share capital. 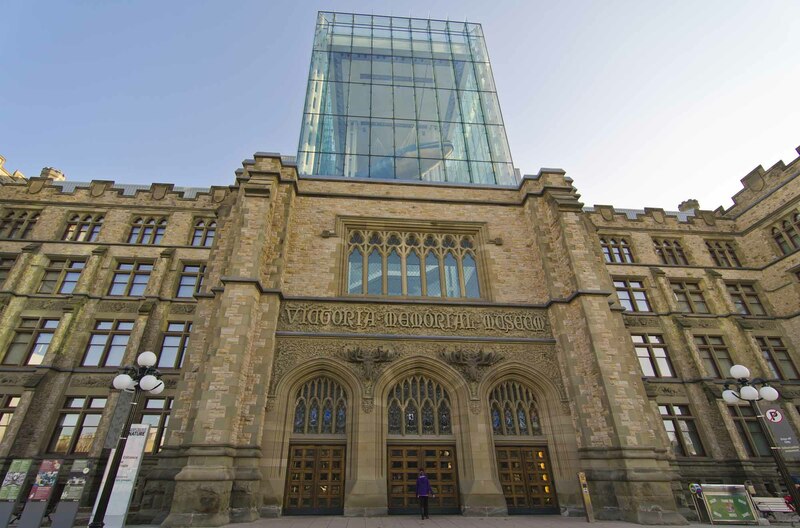 The ROM now operates as an agency of the Government of Ontario, but continues to enjoy many close ties with the University of Toronto. The ROM's physical building has developed in several phases. The original building (now the west wing) was officially opened in 1914. In 1933, 2 new sections were opened: an east wing facing Queen's Park, and a centre block connecting the 2 wings. In 1978, a project was initiated to renovate the main building and construct a 9-floor curatorial centre in the south courtyard. Construction of a 6-floor terrace gallery in the north courtyard began in 1980 (the courtyard was later demolished to make way for the Michael Lee-Chin Crystal). The renovated and expanded main building opened to the public in 1982. 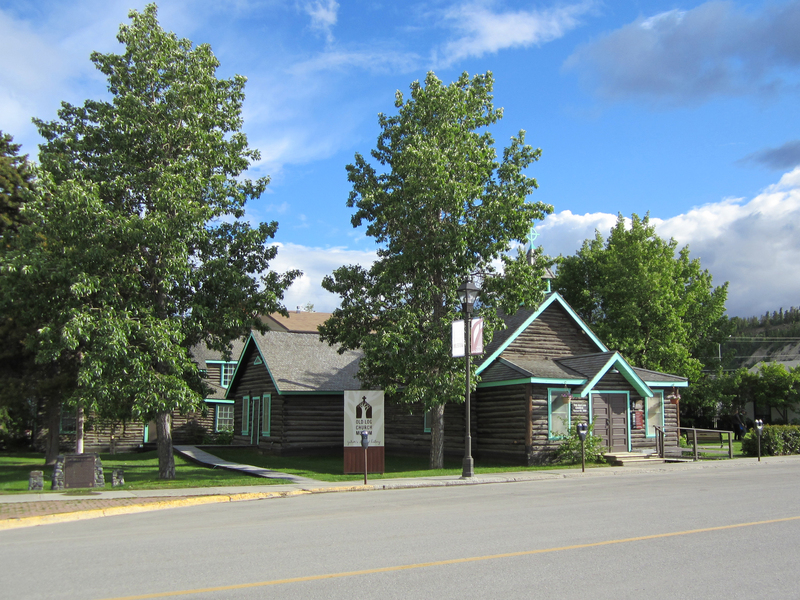 The museum offers many public programs, including lectures and films, demonstrations, concerts, dramatic performances and the identification of specimens and artifacts for the public. The Department of Museum Volunteers conducts public tours of the galleries, walking tours of Toronto, bus tours of Ontario and tours to all parts of the globe led by expert museum staff. In an endeavour to put more of its major collections on permanent display, as well as increase the number of objects within each gallery, the ROM, led by William Thorsell, Director and CEO, embarked on a major fundraising campaign in 2002 named "Renaissance ROM." With seed money of $60 million provided by the Federal and Provincial governments, support for the project received a major boost with a generous gift of $30 million from Jamaica-born Toronto businessman ​Michael Lee-Chin. Lee-Chin's generosity inspired other gifts from the community and the "Renaissance" project which began in earnest in 2003 and formally ended in 2010, ultimately created major improvements. These have included, among other things, new and renovated gallery spaces that have allowed for a doubling of artifacts and specimens on display, a renovation of the ROM's educational facilities, a Digital Gallery to provide students with an interactive multimedia experience digital access to collections for scholars, students and the general public, and expanded restaurant and retail space. Most prominent, however, has been the addition of the Michael Lee-Chin Crystal, named in honour of the Renaissance ROM's prominent donor. 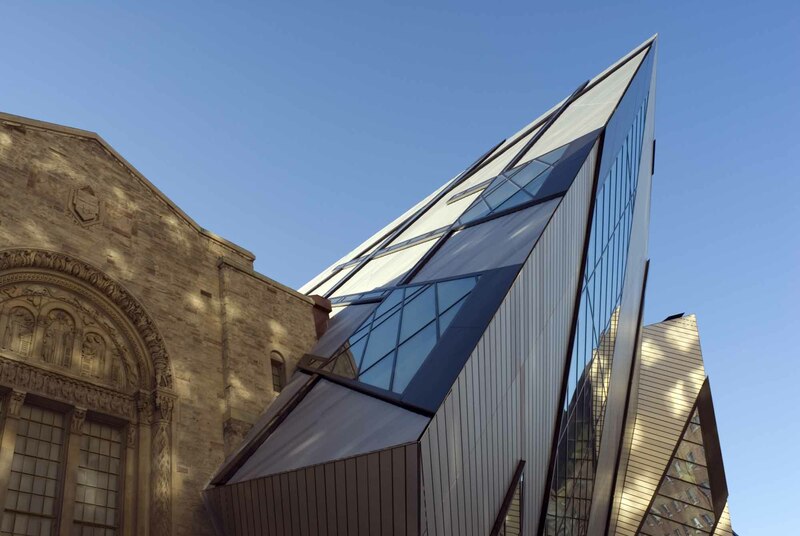 The Michael Lee-Chin Crystal, was created by architect Daniel Libeskind, inspired, he said, by the ROM's gem and mineral collection. Completed on 2 June, 2007, the "Crystal" returns the main entranceway to the front once again on Bloore Street, as it was with the 1914 building, creating a dramatic architectural experience that provides a surprising introduction to the traditional forms of the original building. The grand new addition, which is self-supporting, is composed of five interlocking steel structures clad in glass and extruded-brushed, aluminum strips. A dynamic arrangement of angled shapes, it has provoked animated debate, with opinions both pro and con. 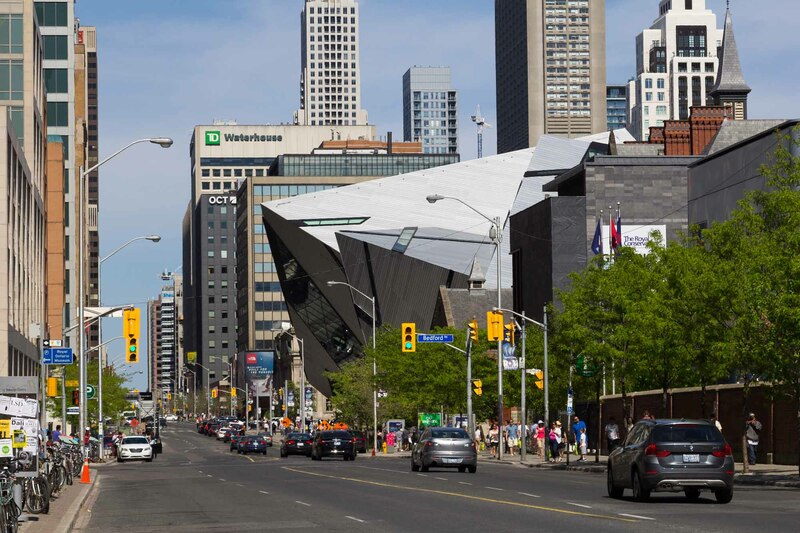 Nonetheless, there is no debate that the Michael Lee-Chin Crystal has accomplished its goal of creating a modern, forward-looking image for one of North America's most important museums. The ROM's collections currently comprise over 6 million objects. The Natural History and World Cultures departments contain collections related to anthropology, Near Eastern and Asian civilizations, Western art and culture, biodiversity, earth sciences and palaeobiology and other disciplines. Interior, permanent Chinese exhibition (photo by James Marsh). The ROM houses archaeological collections from all areas of the New World. Its ethnological collections are world-wide in scope, with Canadian North-West Coast, Plains, Inuit and Woodlands being the most comprehensive. 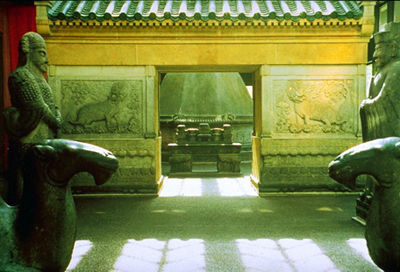 The Near Eastern and Asian collections contain exceptional Chinese holdings, including tomb figurines dating from Hang to Tang dynasties; it also boasts the most comprehensive collections of Egyptian and Near Eastern artifacts in Canada, as well as Canada's largest textile and costume collection (see textile, woven). 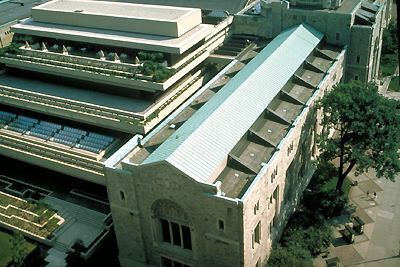 The World Cultures department holds the largest Greek and Roman collections in Canada, as well as the most extensive Byzantine collection; its European decorative arts galleries are among the most comprehensive in the country, and it has a premiere collection of early Canadian decorative arts. Natural History department holdings include the most diverse collection of amphibians and reptiles in Canada, the largest mammalogy and ornithology collections in Canada, one of the best bat and ichthyology collections in North America, and significant botany, entomology and invertebrate collections. The ROM has world-class collections of minerals, gems, rocks and meteorites and is rich in type specimens. The museum's collection of Cretaceous dinosaurs is world-renowned and its collection of Cambrian fossils from the Burgess Shale of British Columbia is generally considered the most important in the world. The work of curatorial staff in the field and at home provides a solid academic base for all public activities of the Museum. ROM archaeologists conduct field excavations in many parts of the world, including Central America, China, Egypt, the Middle East and Canada; palaeobiologists conduct fieldwork in Canada, the United States and Central Asia. ROM curators provide consultations to a variety of international, national and provincial agencies. A large number of general and scholarly publications are produced each year. 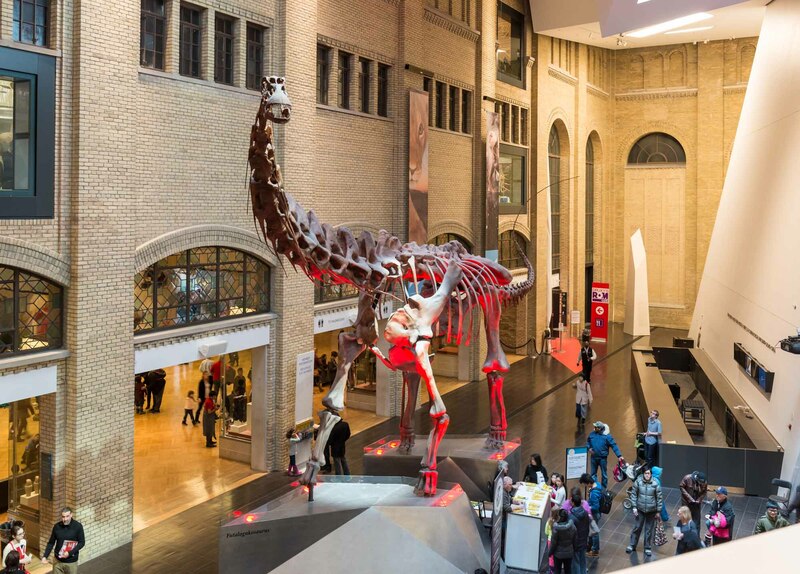 The ROM showcases art, archaeology and science in galleries covering more than 23 500 m2. The 1999 expansion saw the opening of 3200 m2 the new and renovated gallery spaces. Through travelling exhibits and school kits, the Outreach Department provides museum experiences to more than 450 000 people each year in hundreds of different communities in Ontario and across Canada. In addition, the Outreach Department's Travelling Education Kits are used by over 125 000 people during an average year. See also Toronto Feature: Royal Ontario Museum. Charles Currelly, I Brought the Ages Home (2008). How the Royal Ontario Museum represents 100 years of architectureAn article about the disparate architectural styles represented in various wings of Canada’s largest museum. From thestar.ca.